One summer, I decided to get FIT and nothing could stop me. Cue Queen. I found a nearby gym I could afford and started going every morning. I responded with an, “Okay, thanks. Cool. Sounds good. Makes sense. Got it!” and that summer I paid for and drank two Muscle Milks every day. One after working out, another before dinner. Seriously. If I had glanced even once at the nutrition facts, I would have realized that was a stupid plan. But I didn’t look. I didn’t look because I so badly wanted it to work. I figured that, just like Michael Jordan’s Secret Stuff in Space Jam, it would unlock the fat-burning, muscle-building, calorie-restricting beast within. Now everyone knows health isn’t anything like an interplanetary basketball match to save Earth with the Looney Tunes as your teammates. But still, you get what I mean. So I ended the summer weighing more than when I started. When I finally realized I had been drinking an unbelievable amount of (TBH delicious) calories and other bullsh*t, it was too late. I should have known better. But l trusted him blindly because I wanted to believe he knew something I didn’t. That he had figured something secret out, something that could take me from zero to hero real quick. Of course, all he’d figured out is that when you’re paid to train others, your body is your product and you should work out basically all day. He’d figured out that having all your buddies as trainers makes it easier to eat healthy most of the time. He’d probably always been relatively fit, a college athlete even. When he recommended Muscle Milk, my best guess is he was just joking. He probably laughed as he said it, never expecting me to actually take him seriously. But what if he did mean it? What if he were on Muscle Milk’s payroll? What if he were trying to make a quick buck from a fool like me? The health world has traditionally been made up of brands looking for fools. Because when it comes to health, most of us abandon reason and embrace the possibility that this one thing could change everything. We may act like fools when it comes to our health, but that doesn’t mean it’s our fault. The health space sells perfection. And because no one is perfect, we look for a fix—that vitamin, that workout, that new gym machine, that new ingredient, that new expert—that can be the miracle pill we need to get there. And that’s great for the health business. If health wasn’t about perfection, but actually something you could accomplish on your own and in a reasonable amount of time, what would we pay for? That’s why health and fitness have almost always been “aspirational,” not inspirational. Unattainable, not empowering and encouraging. Every magazine cover I read growing up had dudes with six-pack abs (and the 10-step recipe to get there!) inside. But how many people read that and accomplished it? Probably no one. Otherwise, who would buy next month’s issue? (Later I’d actually get six-pack abs in six weeks and learn it’s possible, but for a terrifically short period of terrible time. I learned even the fitness models on the covers rarely maintain them and often do it just for the photoshoot. Crazy.). I believed it would change. There’s no doubt we’re moving away from a six-pack abs world. There are more models of all shapes and sizes, more “normal” people on the covers of magazines. Millennials prioritize health differently (we sure do), the importance of health keeps growing exponentially (it does), and the internet has increased our ability to find the answers (it has). So I’d hoped we’d enter a new era where health was thought of in a healthier way. That we’d firmly move away from a world where health and fitness is the point to where it’s just a part of living a better, happier life. But something’s gone wrong along the way. Suddenly being health-conscious is “cool,” but the fake cool, not the real kind (right, Mom?). It’s about exclusive fitness classes, bougie gyms, trendy clothes, and expensive technology. It’s suddenly about status and money and style and, again, unattainable. It’s easy to make money by preying on our insecurity again. Healthy was never meant to be inaccessible. It’s actually the most accessible thing you can think of. Imagine if healthy didn’t judge you. Imagine if it wasn’t something that told you what you should look like and what you should wear. Imagine if it didn’t tell you where you should shop and where you should work out and what you should eat. Healthy is something that everyone and anyone can be. It’s not about how much money you make. It’s how you feel and what you’re doing about it and why you care. It’s for fitnessistas and yo-yo dieters, for marathoners and weekend warriors, for mindful eaters and Mac ‘n Cheese lovers, for foodstagrammers and Walmart shoppers. Imagine we weren’t all seeking a miracle pill. (Because even if one day we get one, we’ll just want another.) What if we spent all the time we’re looking for a magic pill finding peace with what we’ve got and simply working to improve? 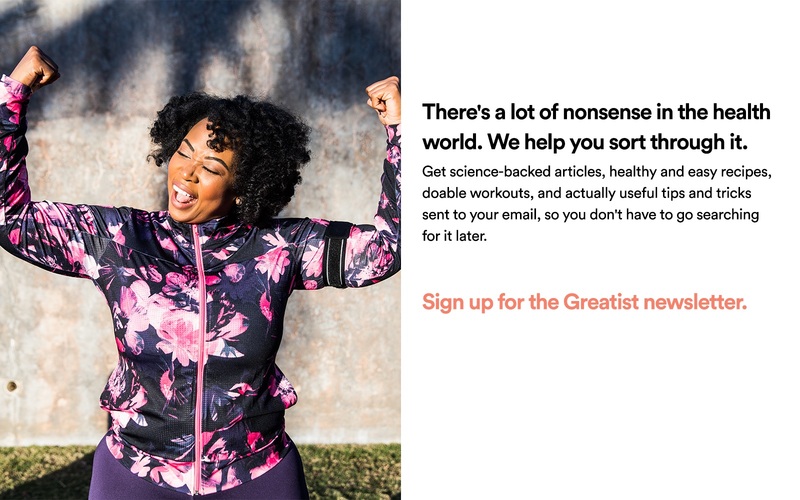 This is why we’ve launched our Healthy for Every Body campaign at Greatist, and I’m so proud of it. We need to take back “healthy” from fancy-pantsy people and give it back to us. Back to people without personal trainers, home chefs, and unreal amounts of money. I’m here on this planet to make healthy accessible to everyone and define it in a healthier way. And we need to fight back now. Don’t buy into Tom Brady’s diet if he’s never eaten a strawberry or drank coffee in his life (true). Don’t purchase Khloé Kardashian’s weight loss tea just because she promotes it (she did, it's bullsh*t). Don’t trust Gwyneth Paltrow if she’s all about sticking jade eggs up your “yoni”(I don’t even know where to start with this one). Be inspired by people more like you, but a little further along. Trust Jessamyn and Cassey. Trust people who aren’t saying you should look like them or live like them. Look, I’m hopeful. 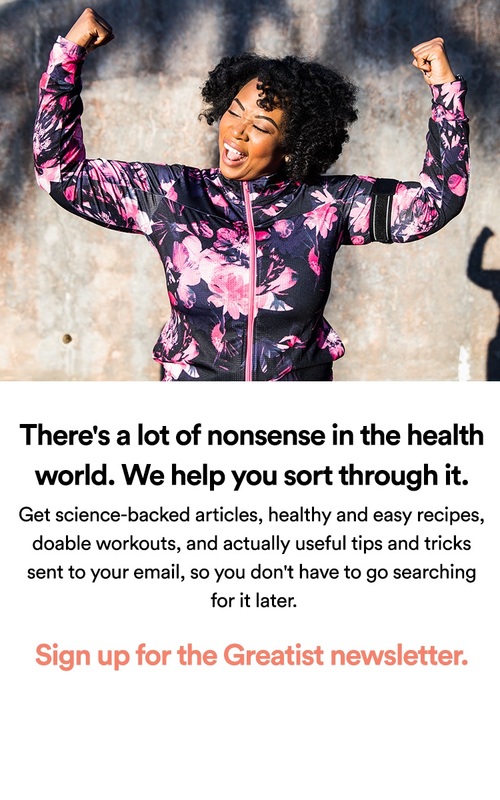 There are health brands (and not just Greatist!) that care, brands that aren’t trying to take advantage of how we define health today, but actually trying to redefine it in a healthier way for tomorrow. But most don’t give a sh*t.
So watch out and stop drinking two Muscle Milks a day.